In fiscal 2017-18 we assumed additional responsibilities in relation to our Transitional Aged Youth (TAY) Program, which were divested to us by MCSS. Cota’s TAY program supports adults with developmental disabilities who were formerly in the care one of the Toronto based Children’s Aid Societies and was formerly known as our Community Liaison Worker (CLW) Program. The changes that occurred in fiscal 2017-18 resulted in two positive outcomes: (1) they improved processes relating to the contracting and administration of funding for the care clients as they leave child welfare and continue to receive residential support services from privately operated fee-for-service agencies and (2) they reduced the triangulation of reporting and accountability processes that historically existed between Cota, MCSS and the private-operated agencies. The TAY program now has a heightened responsibility for contracting directly with the privately operated agencies, administering the financial resources that pay for client care, ensuring that clients receive quality support from the privately operated agencies that we contract with and for transitioning clients to more appropriate adult services when/where possible. “I thought I’d send a little note of thanks, as I am going through the contract amounts recently sent to me from Cota. It looks coherent, correct and as though your accounting folks have a good handle on the information with which they are working” said Gord Moore (Halloway House). BT This past year we also assumed responsibility for an Acquired Brain Injury Behavioural Therapy (BT) Support Service, which was divested to us from Toronto Central LHIN and Home and Community Care (formerly Toronto CCAC). The divestment of this service to Cota supported TC LHIN and the former Toronto CCAC through their integration process and has enabled Cota to expand the range of services we offer to people living with acquired brain injuries. This program provides supports to clients with goals relating to behavioural rehabilitation. 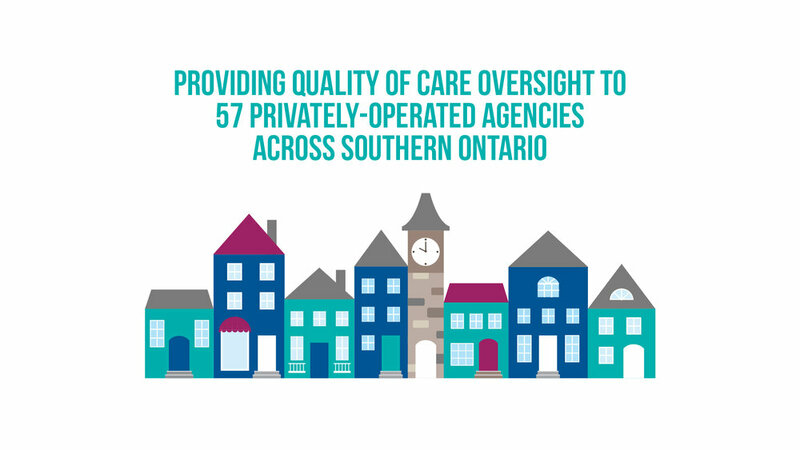 Working in collaboration with the TC LHIN Home and Community Care Team, all clients were successfully transitioned into Cota’s care by March 2018. The ABI-BT team is comprised of a Cota ABI Case Manager, a Behaviour Therapist (BT) supervised by a licensed Psychologist, an Individual Support Worker (ISW), and an administrative assistant. Cota is responsible for receiving referrals and for working with clients to assess their needs and develop treatment plans that include a combination of skills teaching and behavioural approaches. The team works collaboratively with clients, families, and caregivers to support them in following the BT plan.